Each industry demands responsible business owners. There are different kind of tasks that needs to be completed and they often carry a certain amount of responsibility. However, the most important areas every business must address before everything else are health and safety protocols in the workplace. 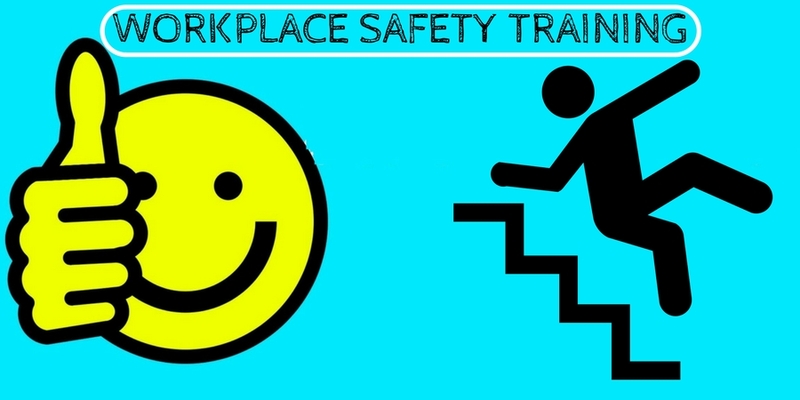 To ensure complete employee safety, businesses must provide high-quality training. The training varies from industry to industry as each of them carries different types of risks. The following are some of the most common workplace safety concerns that need to be addressed. Training which involves electrical shock danger awareness and how to avoid it. This training should be incorporated in all lines of work, as electricity is used everywhere. Falls from heights are the most common type of injury in the construction industry as well as the most dangerous. Hence, it must be appropriately addressed. Heavy machinery is used in several lines of work and employees should be well-trained on how to use them. This will allow them to learn about all the dangers that a machine poses, resulting in a reduced number of accidents. If employees work with cutting machinery on a regular basis, they should be well aware of the dangers. The same goes for burns. The more dangers the employees are aware of, the better they are going to handle their equipment and avoid serious injuries. This type of training is aimed at the chemical industry, where various types of vapors are released during the production process. It can be very dangerous and, in most cases, life threatening. Knowing the safety protocol can greatly reduce the chance of employees endangering their lives. As with electrical shock danger, fire hazard training should be covered in most industries, as there are numerous fire hazards in every single workplace. Employees should know how to prevent a fire by avoiding negligent behaviour and following basic safety protocols. In case a fire occurs, they should also know what they can do to stop it or to quickly evacuate the building. These are only some of the examples of health and workplace safety education that employees across different industries should go through. Taking all the necessary steps for accident prevention is incredibly important for a modern business and it should be one of the company’s primary goals. Now let’s move on to how a business owner can create an effective way of training employees. Businesses are always inclined towards saving time. It is no different when it comes to employee training. Luckily, as technology has significantly improved, business owners can now use a learning management system tools to effectively train employees without wasting any time. Learning management software is particularly important because it offers a wide variety of content support. Some instructions are best presented via images, whereas others can be easily explained through a video. Of course, text or audio mediums are also available. All this makes an LMS tool the perfect solution for delivering information in different ways, thus ensuring that you will provide clear instructions. In a traditional educational process, every individual is present at the same location, but not all of them are tested properly. With an LMS tool, training managers can easily follow the progress of every employee. This provides a clear insight into whether an employee has successfully learned all the important information included in the course materials. The gathered employee performance information is great for content auditing. Over time, the data is going to point out which courses are confusing for the employees. This enables the training managers to make significant changes and improve learning materials. The world of business is evolving at a fast pace. There are different annual changes that require modifications to be made to the course materials. However, with an LMS tool, making any edits and changes is easy. This allows business owners to always use the latest piece of information and provide the employees with improved health and safety procedures. Therefore, if you are worried about delivering the knowledge to your employees, you can stay assured that an LMS tool is the most suitable option for you. They will help you create high-quality content that will keep your employees safe and sound at their workplace. Providing your employees with top-of-the-line health and safety training brings several different benefits to the table. This is the number one priority. Investing in safety training will improve people’s awareness, protecting them from injuries and other types of dangers that might occur in the workplace. Productivity – Any type of an incident has a negative impact on productivity. A business can lose a lot of time with serious injuries, not to mention those which have resulted in death. Sometimes, the whole investigation process can last for weeks or months, impairing the business severely. If you are looking to create a future in which your company will be praised for employee safety, investing in training is important. It will help you achieve more growth over time. Avoiding penalties – Penalties for irregularities concerning health and safety protocols are quite high. To avoid unnecessary spending, it is essential to respect all the legal requirements. Guest Author’s Bio: Kamy Anderson is an ed-tech enthusiast with a passion for writing on emerging technologies in the areas of corporate training and education. He has 7+ years of experience working with ProProfs learning management system and other eLearning authoring tools, which has given him a hands-on experience of the latest course authoring software and an exclusive insight into the eLearning industry. Next articleHow to Attract Freelancers with an Irresistible Job offer?